For a limited time, shop the sleep shop at Gilberg Furniture and get a Scott Living by Restonic king size mattress for the price of a queen. Don't need a king size mattress? 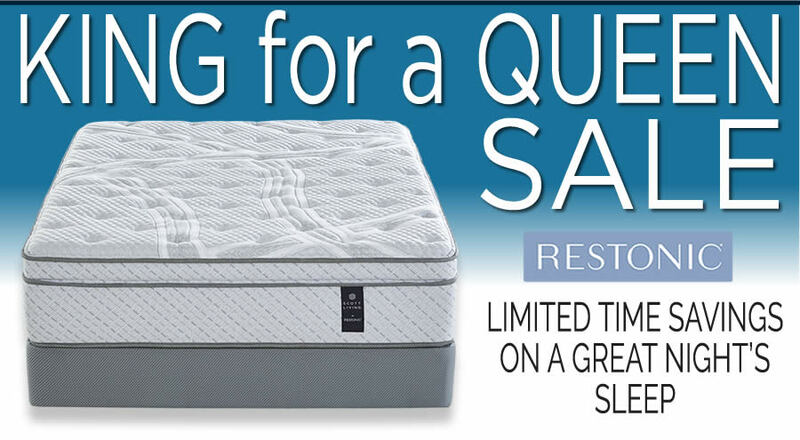 Purchase a Queen size mattress for the price of a Full! Step up to the unbeatable quality and comfort you can only find on a Scott Living by Restonic mattress. You'll feel better and sleep better and now you can sleep like a king for the price of a queen. 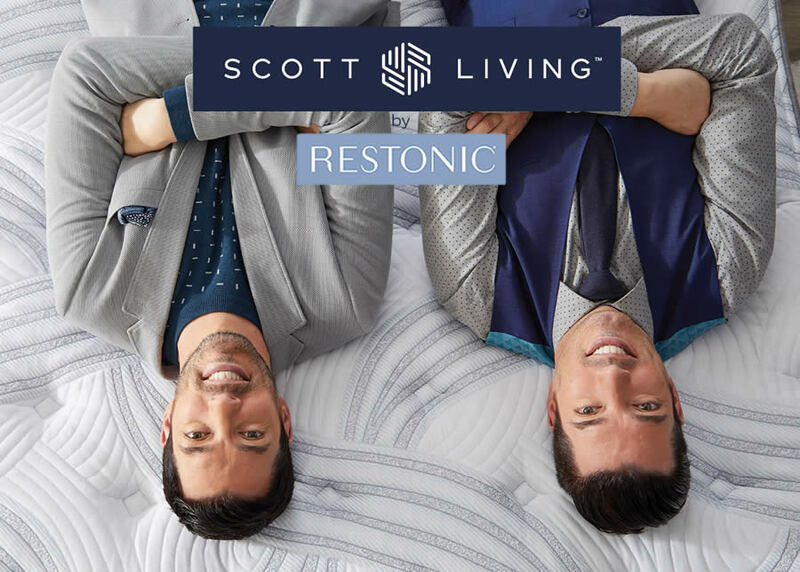 Get your best night's sleep on a Scott Living by Restonic mattress from the Sleep Shop at Gilberg Furniture. * Special financing is available with approved credit. Monthly payments are required. See store for details.